NB-IoT is most suitable for very low-power devices that only need to send small packets, while LTE-M has the additional advantage of voice over LTE-M, meaning the device can transmit short voice messages (think of emergency monitoring equipment whereby a brief description of a prevalent issue by a staff member can greatly help in finding a solution). 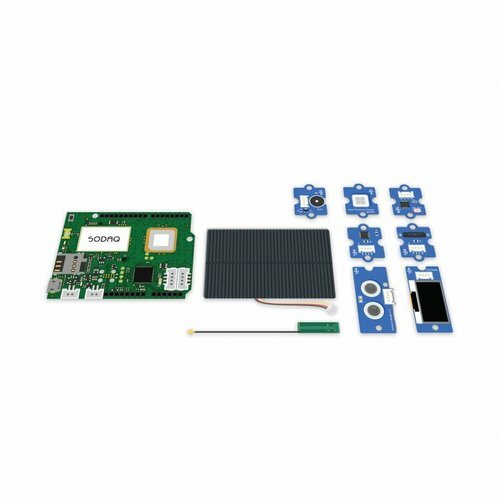 This kit comes with an NB-IoT SIM card. Tracking device: the on-board GPS module provides position information, while the accelerometer can be used to activate the device so that it only switches on the GPS when the device moves. Level sensor: for dustbins, rivers and other objects that become fuller and emptier over time, the ultrasonic ranger can measure the level from above using sound waves. 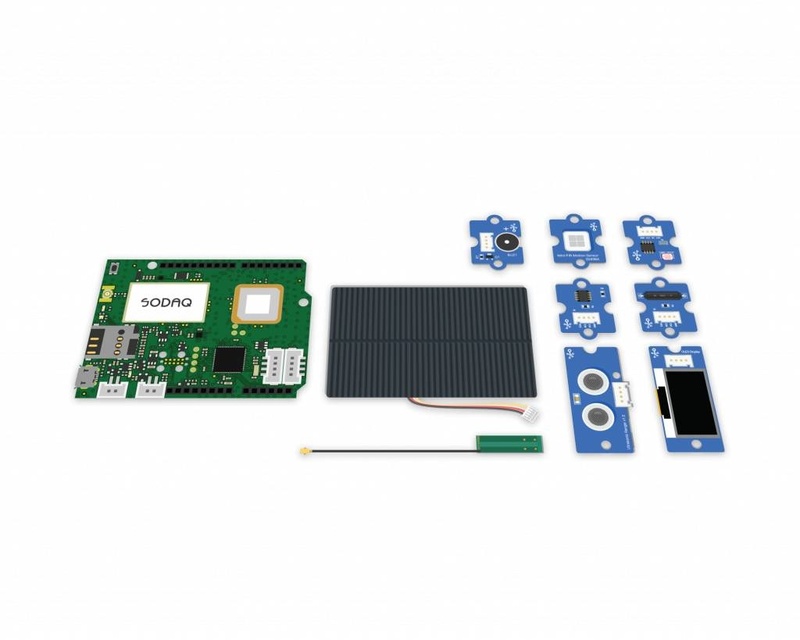 All these applications become fully autonomous because the kit includes a solar panel and battery for power, and the SARA R410M modem provides a power efficient connection to Vodafone's Narrow-Band IoT or LTE-M networks. As the kit also contains a SIM-card provided by Vodafone with 6 months free connectivity, you will have sufficient time to test your application.